About Convicted Jameel McGee: “For the next three years not a day went by that I didn’t think about my son who I had never seen and the cop who had kept me from him. And for most of those three years I promised myself that if I ever saw this cop again, I was going to kill him. I intended to keep that promise.” Andrew Collins: “I watched this angry man march through a crowd, a little boy and another man struggling to keep up with him....The man walked straight up to me, stopped, and stuck out his hand. I took it. “Remember me?” he asked in a tone that sounded more like a threat than a question. Somehow, a name came to me. ‘Jameel McGee,’ I replied.” It reads like a gripping crime novel…except this story really happened. Racial tensions had long simmered in Benton Harbor, a small city on the eastern shore of Lake Michigan, before the day a white narcotics officer--more focused on arrests than justice—set his sights on an innocent black man. But when officer Andrew Collins framed Jameel McGee for possession of crack cocaine, the surprising result was not a race riot but a transformative journey for both men. Falsely convicted, McGee spent three years in federal prison. Collins also went to prison a few years later for falsifying police reports. While behind bars, the faith of both men deepened. But the story took its most unexpected turn once they were released--when their lives collided again in a moment brimming with mistrust and anger. 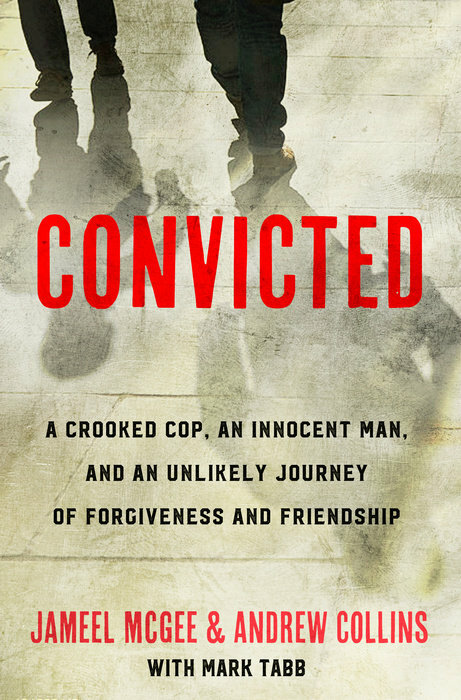 The two were on a collision course—not to violence—but forgiveness. As current as today’s headlines, this explosive true story reveals how these radically conflicted men chose to let go of fear and a thirst for revenge to pursue reconciliation for themselves, their community, and our racially divided nation.